We were able to demonstrate innovation since our establishment in our various fields of activity: cold, air conditioning and energy management. Associated with a real know-how and skills we are able to offer solutions for every type of customer. Whatever business or communities where we work, our goal is to meet the major challenges related to your industry. 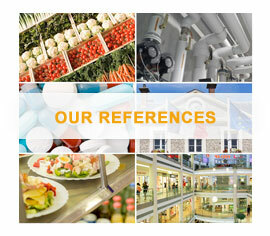 Afatek offers companies of all sizes and all sectors an innovative and secure range of solutions and services. Our customers in France and across Europe trust our company’s experience of over 60 years, as well as the reliability of our solutions.